Renting out a room in your house can seem like an attractive option for anyone trying to fight their way through the credit crunch without doing anything too drastic. Luckily, at the moment you won’t even get stung by the tax man if you rent a room out, as long as the rent is low enough not to be outside the ‘Rent a Room’ Scheme. This useful government allows anyone to let out a room, or part, of your home, and make a tax free income from doing so of up to £4,250 a year. This would mean a rent of less than £350. It doesn’t matter whether you’re renting out one room, even an entire floor of the house, but it does have to be furnished, and it can’t be a separate building to your house. It also doesn’t matter if you own the property yourself or you rent it and are subletting it. As long as you have the agreement of your landlord, you are allowed to make the same income as a home owner. If you don't usually fill in an annual tax return, and the rent you receive from your lodger is under the tax-free threshold for the scheme, you don't need to declare anything, but if you charge more than £4,250, you will have to complete a tax return and claim the rent a room allowance back from the Inland Revenue. You can choose to either be taxed on the gross rent you receive over the £4,250 threshold - or you could just pay tax under the normal rules. You’ll need to keep good records of the income you make from your renting a room, and any expense you’ve incurred as a result, and keep hold of these for six years, just in case the Inland Revenue decide to look into your tax affairs. It might work to your advantage to declare the income for tax purposes, because if you spent a lot of money improving the room or area of the property that you’re letting out, but received less back in rent, you can offset this as a loss and won’t pay any tax, even if the amount of rent you received was more than the threshold amount. You’ll need to tell your insurance company if you are taking in lodgers, and make sure that you have the appropriate cover. Your mortgage company also needs to know. Big events are usually a great opportunity for people who have a spare room to make some extra cash. If you live in SW19, Cheltenham or Edinburgh, you could consider advertising your spare room for rent during the big seasonal events and make good money from doing it. The tax rules still apply though, and the Inland Revenue are not averse to checking up on adverts for ‘rooms to let’ in local papers to make sure that people aren’t dodging their tax! 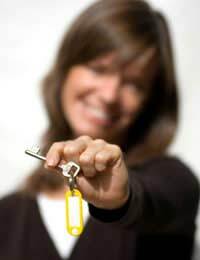 Make sure that you get good credit checks and references – after all, this person is going to be sharing your home! You can get pre-screening services for potential lodgers online, and this doesn’t usually cost a great deal but can give you peace of mind. Get bank and/or building society, employer and any previous landlords to provide references too. It’s also worth doing a criminal records check. Interview your prospective tenants - find out how much time they expect to spend in the property, what they do for a living, and give them any house rules – are you going to allow guests for example? Draw up a written agreement which covers all essentials - rent amount and payment details; rooms and facilities included; how much their share of household bills is; any notice period. Ask for a minimum deposit of one month's rent up front.